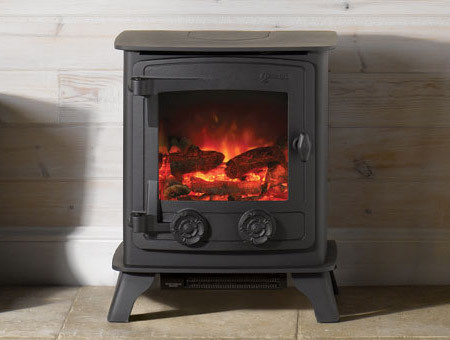 The Yeoman Exmoor electric stove provides a stand alone centrepiece for your home; a welcoming warmth for friends and family to gather around and relax. The substantial 7kW heat output will keep your home warm while the dancing flames provide a mesmerising attraction. The built-in Airwash system ensures a clear view of the flames at all times.